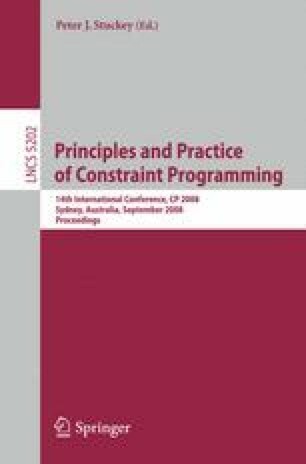 This paper presents a global constraint that enforces rules written in a language based on arithmetic and first-order logic to hold among a set of objects. In a first step, the rules are rewritten to Quantifier-Free Presburger Arithmetic (QFPA) formulas. Secondly, such formulas are compiled to generators of k-dimensional forbidden sets. Such generators are a generalization of the indexicals of cc(FD). Finally, the forbidden sets generated by such indexicals are aggregated by a sweep-based algorithm and used for filtering. The business rules allow to express a great variety of packing and placement constraints, while admitting effective filtering of the domain variables of the k-dimensional object, without the need to use spatial data structures.